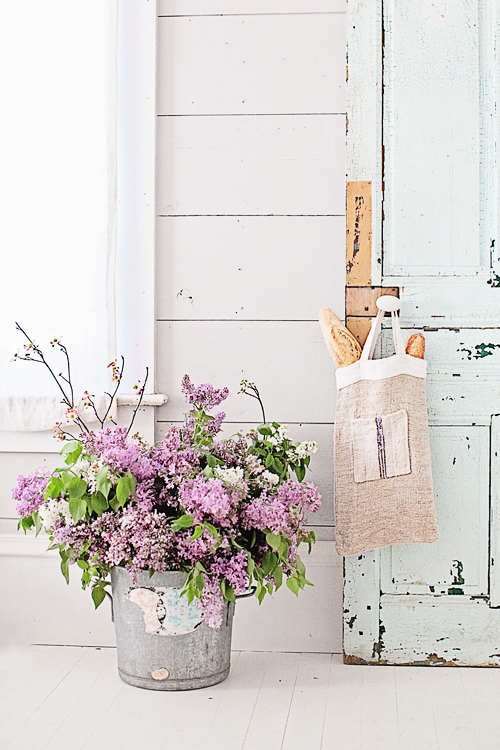 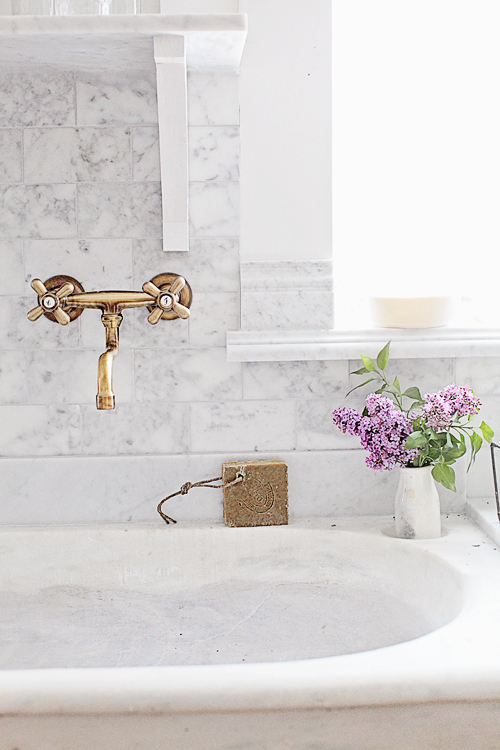 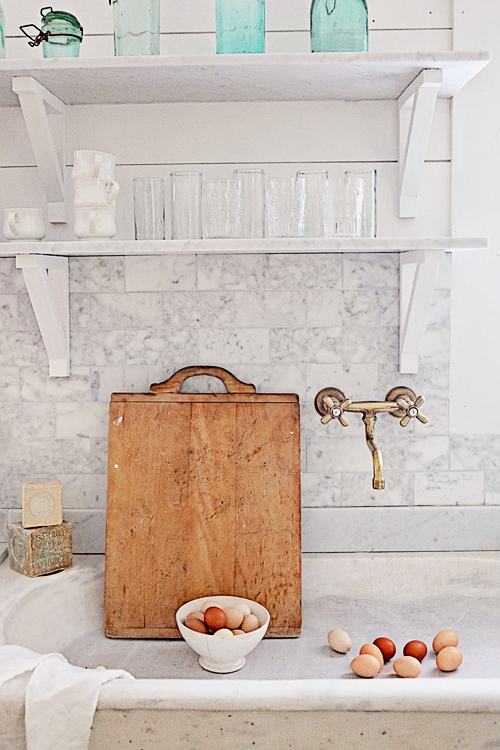 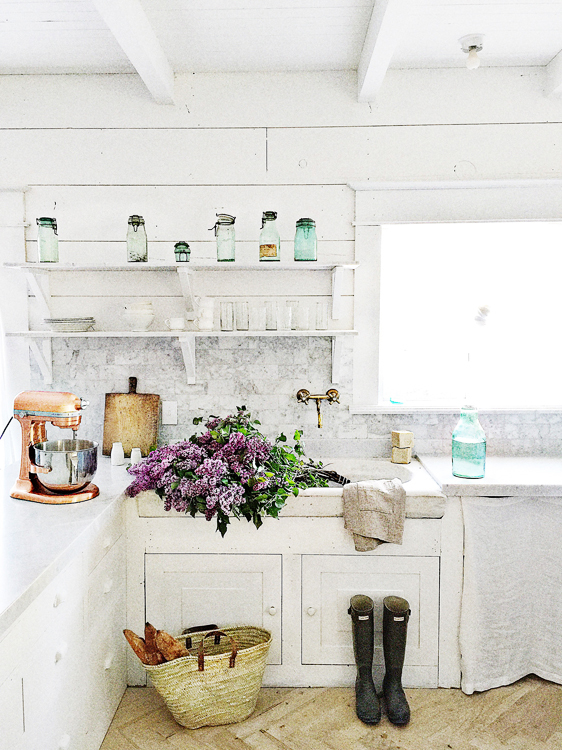 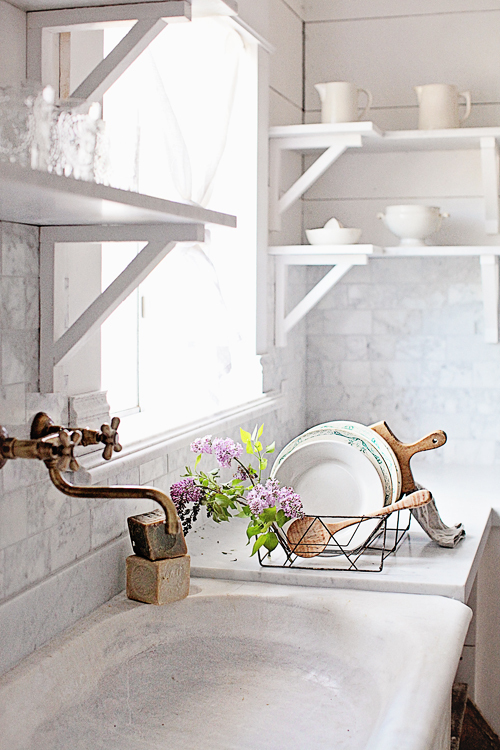 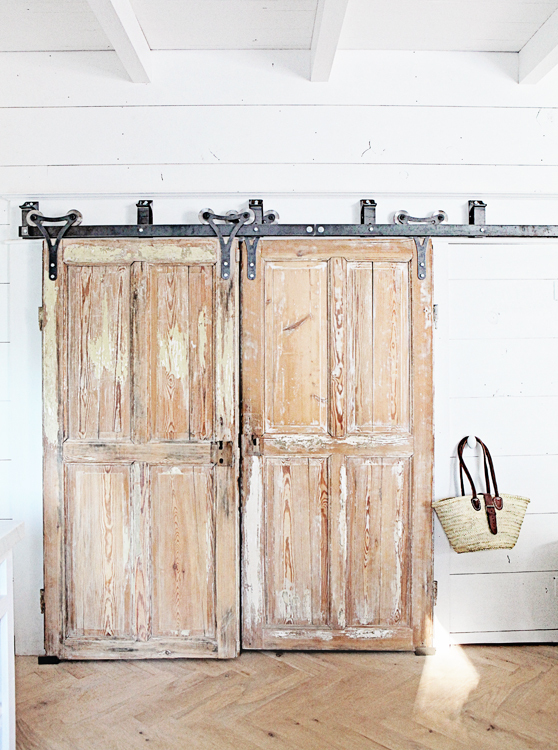 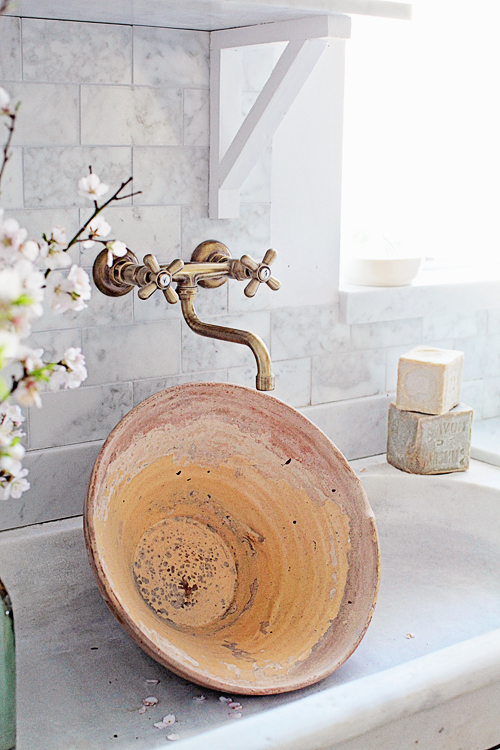 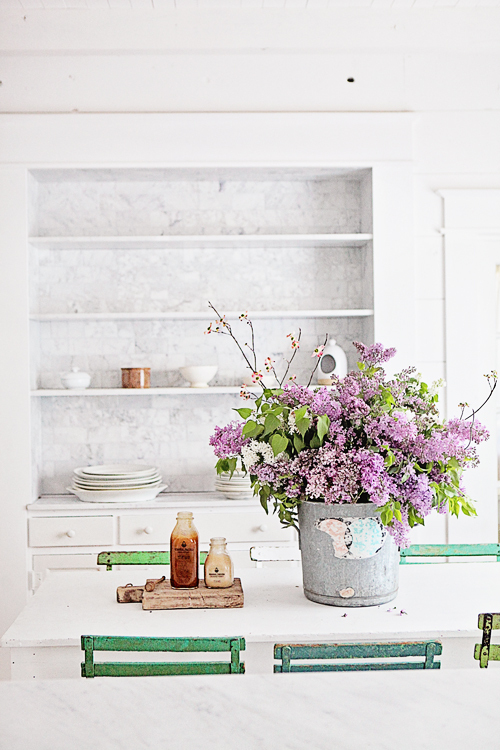 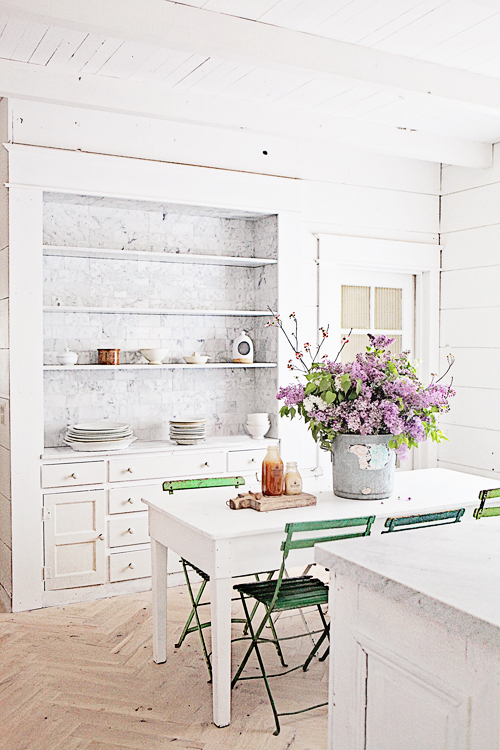 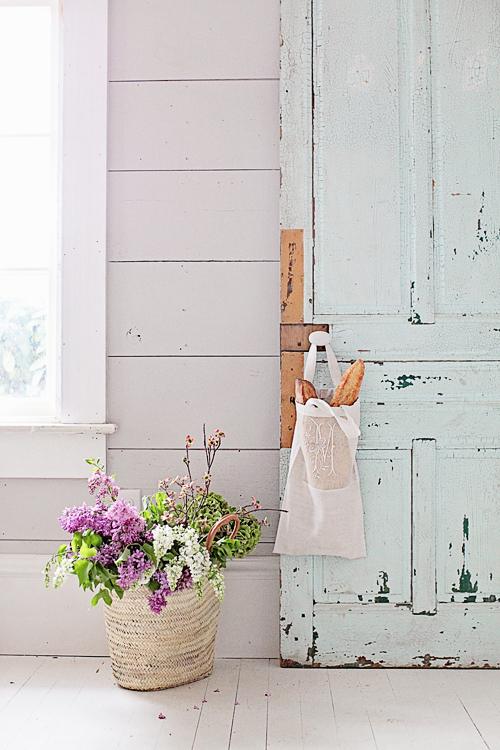 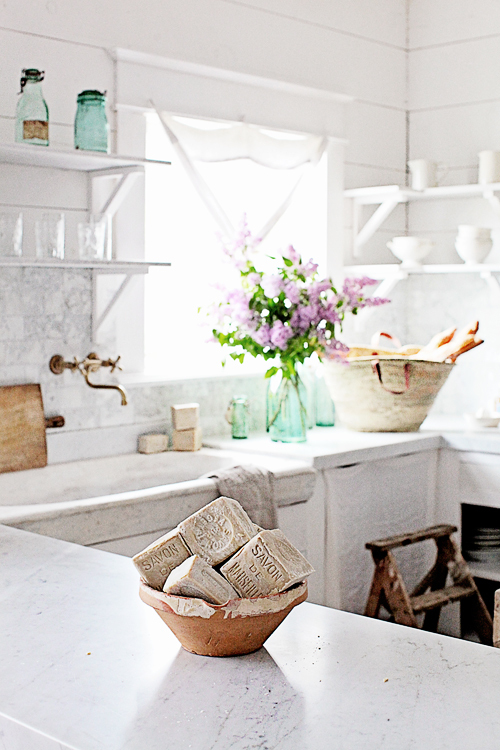 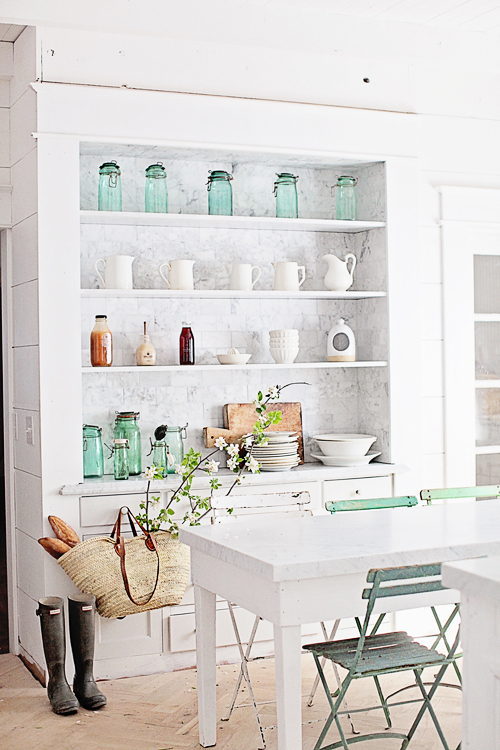 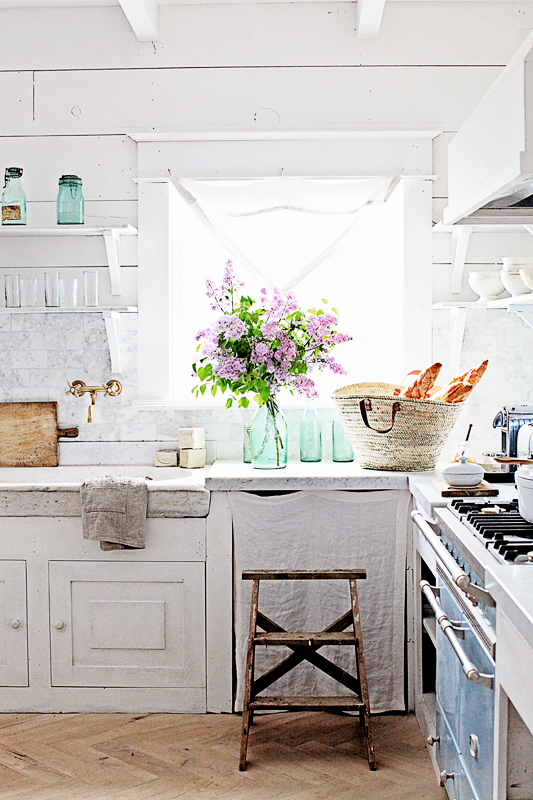 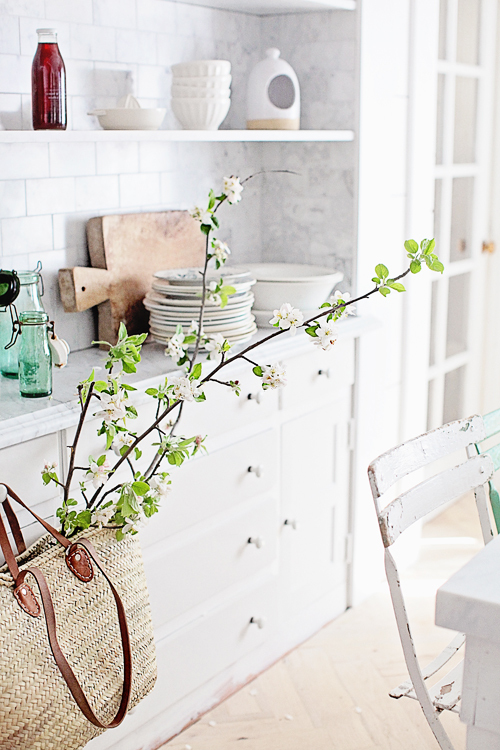 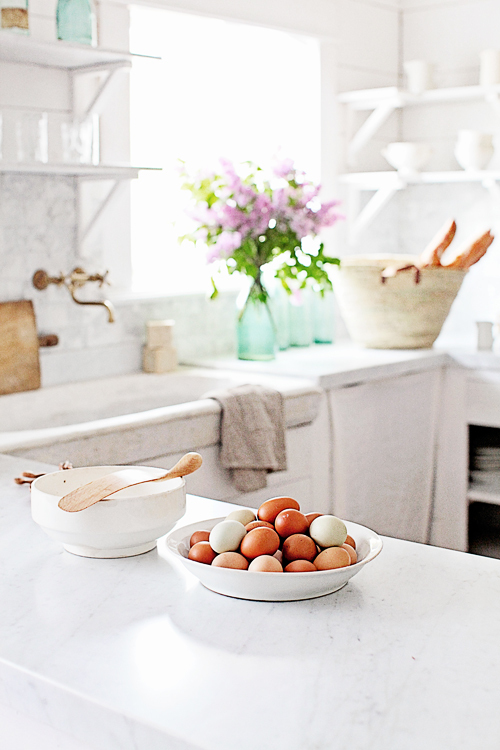 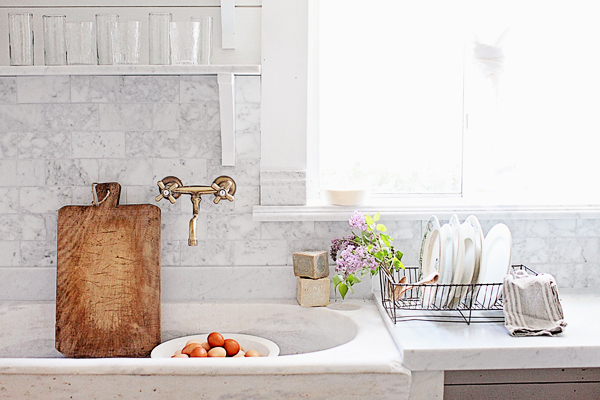 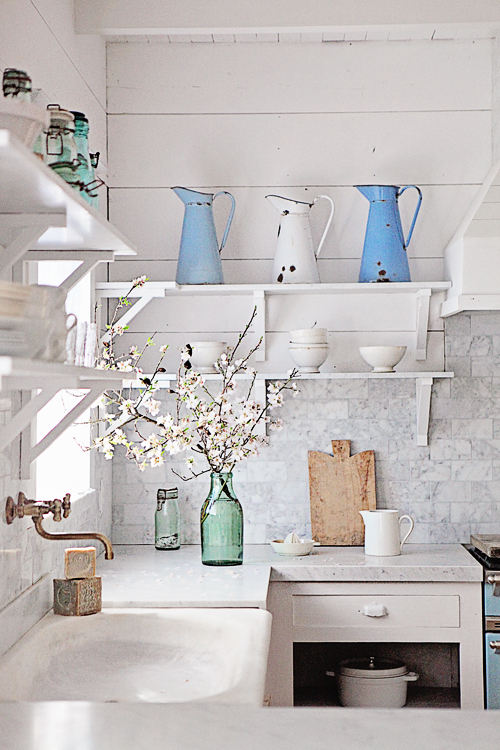 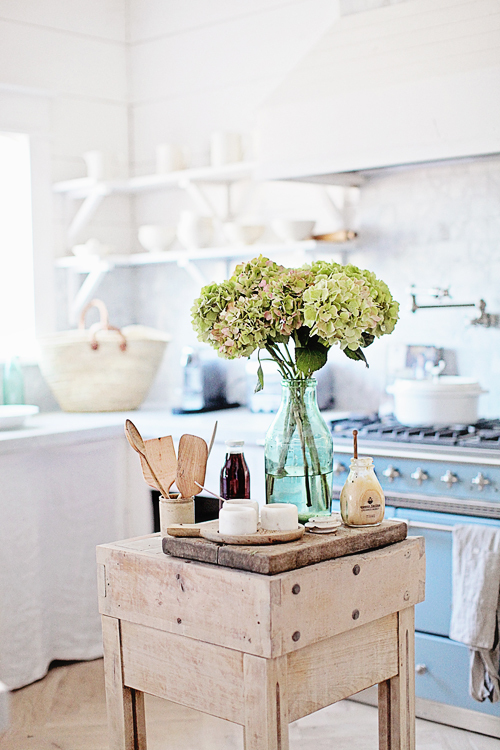 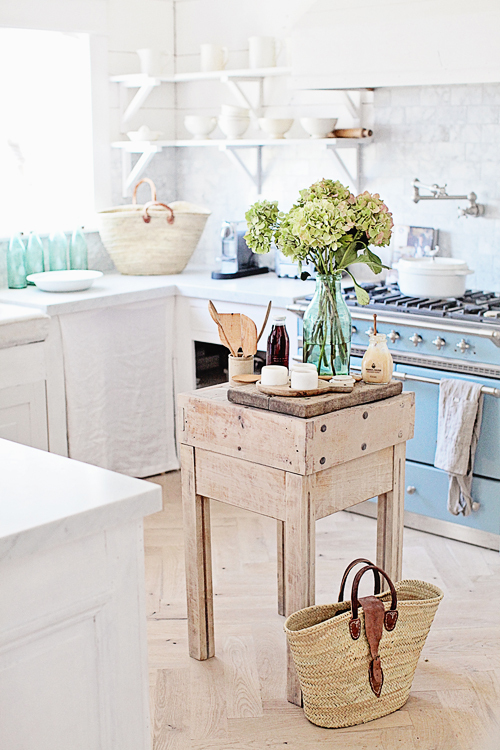 When it comes to French countryside living, one of my favorite sources of inspiration is the blog Dreamy Whites. 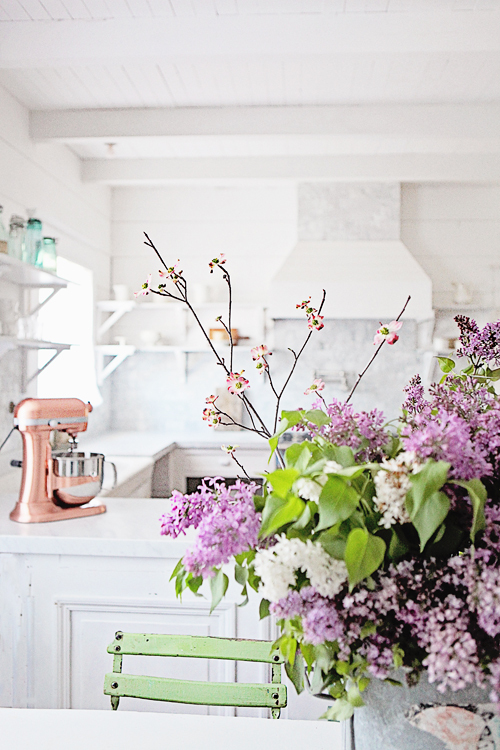 I was delighted to come across this envy-inducing kitchen featured on the blog – part of a recent kitchen makeover! 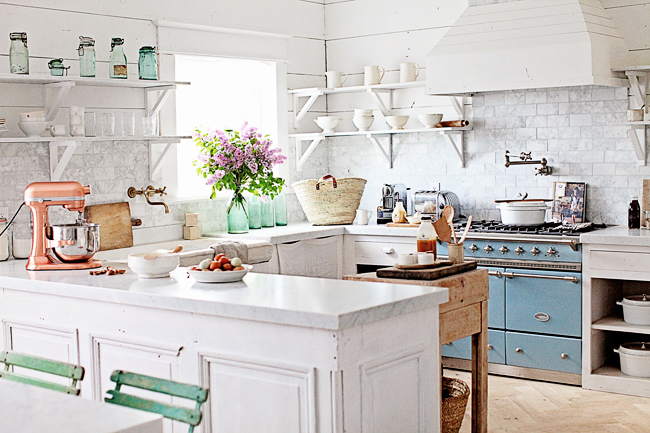 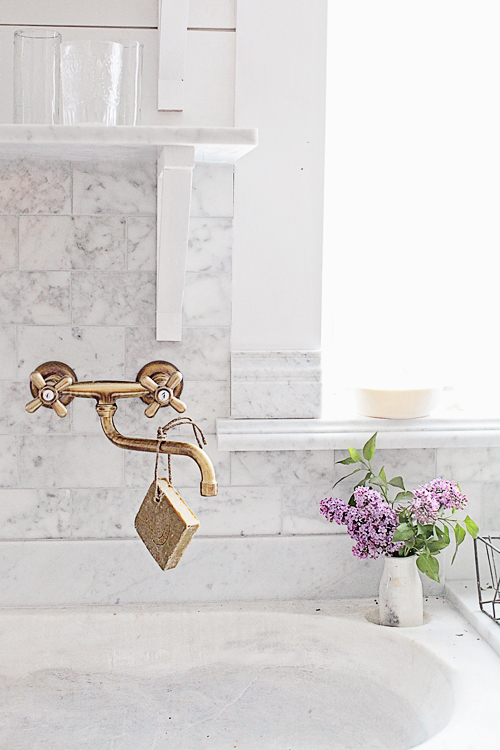 This rustic cuisine is gorgeously curated in a vintage French country home style, with a few of my favorite elements being a wooden center island, faded blue oven and stove, and brass fixtures above the sink!